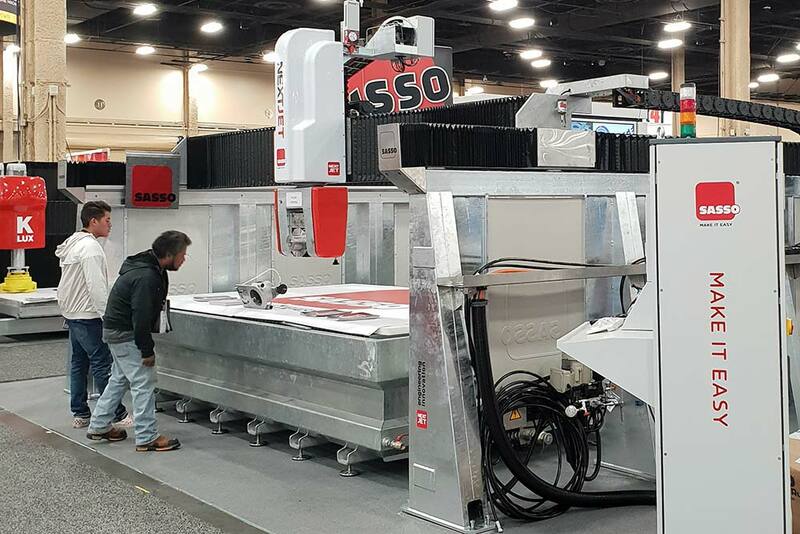 Sasso at the Stone Expo 2019 in Las Vegas: promoting Italian excellence in the marble sector. Also this year, Sasso took part in Stone Expo 2019, a fair that brings together all the leaders of the stone industry and marble processing machinery. 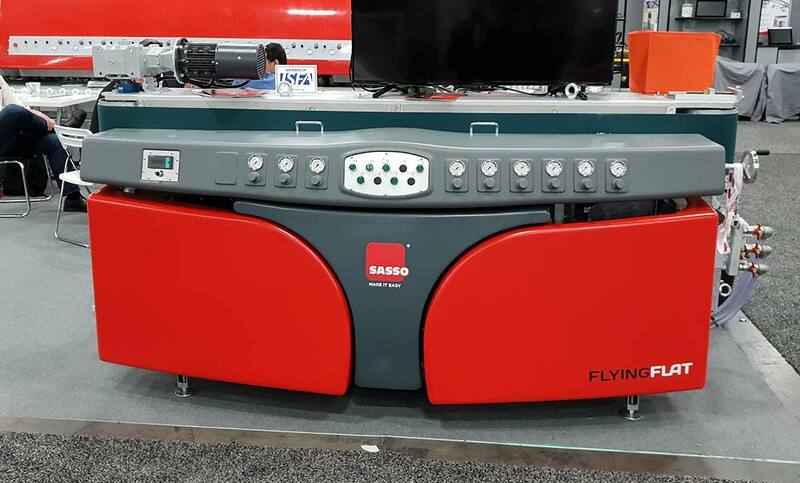 From January 30th to February 1st, three days to present all the innovations signed by Sasso, such as the new Flying Flat and the new Next-Jet, innovation for high performance. The Flying-Flat, the edge polisher for flat edge and bevels, with its renewed, elegant and functional design, is designed to allow the operator to get the most out of productivity. The Next Jet is a high-performance CNC saw, designed to drastically increase production capacity and efficiency. A useful tooling compartment allows you to quickly change the different systems on hand: Waterjet, discs for granite, marble and quartz, as well as bits for milling. It can work on gravestone material easily and efficiently, saving you time and material.